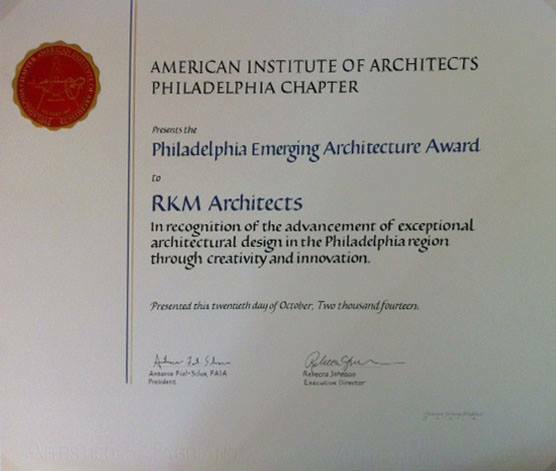 RKM Architects was awarded the Philadelphia emerging architect award for firms that have been in existence less than 10 years. We could not be more pleased. Thanks to the AIA, Silent K, Brett, Steph, Maria for making this happen. This is a great thing for our practice.